Please select options for AWE Track Edition Cat-Back Exhaust w/ Diamond Black Tips (15-17 GT Fastback) at the top of this page. Hey, everybody. Justin here with americanmuscle.com with my detailed review and install of AWE's Track Edition cat-back exhaust system featuring their chrome tips, available for your 2015 and newer Mustang GT. So the AWE Track Edition cat-back should appeal to any S550 GT owner out there looking to grab one of the most affordable muffler deleting cat-backs on the site, one that will incorporate the H-pipe and help deliver plenty of volume in the process. Now, as far as the install is concerned, well, guys, you're looking at a 100% bolt-on job, so one out of three wrenches on the difficulty meter with some more detail later on. So the easiest and probably best way for me to describe this system from a sound aspect is that you're going to be getting all of the volume of a Corsa Xtreme, but without that high-pitched, almost exotic tone, and that's due to two big reasons. First and foremost, guys, you're looking at it, the incorporated H-pipe, which will help deliver that lower tone overall, that more thumping tone as you guys heard with the sound clips. 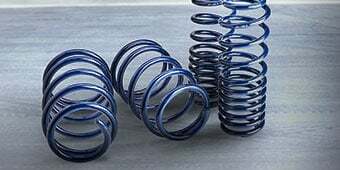 So with the Track Edition installed, don't expect that high-pitched, almost raspy tone that you're getting with a Corsa or some of the other more aggressive systems on the site. Secondly, again, this will be one of only a handful of muffler deleting cat-back options currently available on the site. Pypes does offer one that's actually a little bit more money than the AWE system, and Stainless Works offers something kind of similar, but it's not exactly a true muffler delete. So what does this all mean when it comes time to talk about sound with the Track Edition from AWE? Well, guys, be ready to wake some neighbors, because this thing is loud. Easy five out of five on my one to five, or "one to wake the neighbors" scale. 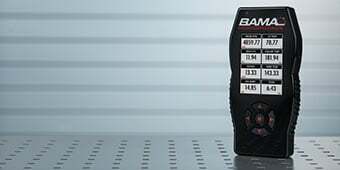 Definitely, on par with the Corsa Xtreme, the Flowmaster Outlaw, Borla Atak, and by the way, is more affordable than all three of the systems I just mentioned. However, inside the car, things were a different story completely. This thing really wasn't all that loud on the inside, if you can believe it, because yes. It's super-aggressive on the outside. Now, typically, with those muffler deletes, things can get loud and boomy pretty quick inside the car. Again, not the case here. With the AWE system, different RPM levels while cruising didn't really reveal any excessive drone. Let's talk a little bit more about the AWE Track Edition gets its tone, and we've already covered most of the big points.Again, you have that incorporated H-pipe. But from there, everything flows downstream into the twin bullet-style resonators, straight through by design just to help clean up the sound a little bit without really hurting your flow or performance. From there, things travel through the muffler deleting axle-backs, and finally out the four-inch double-wall chrome tips etched with that AWE logo, which you can grab in black, by the way, for an additional $50. Now, everything is made from premium-grade 304 stainless steel, beautiful welds, and everything is built right here in the U.S.A. AWE actually claims some inherent performance benefits, as well, with their Track Edition system and it kind of makes sense when you think about it. You're eliminating that restrictive factory resonator, along with those mufflers, making for a very free-flowing system. Now, those guys actually claim 8 horsepower and 18-foot pounds of torque at the crank, which to you guys should equate to roughly single-digit numbers at the tire. That's probably what you can expect here as far as best case scenario. Because in our experience, cat-backs on the S550 typically aren't going to add a whole bunch of power by themselves. For those of you guys who aren't really up to speed with the AWE name, here's what you need to know. They've been making some really high-end stuff for high-end European cars for almost 30 years now. BMW, Benz, McLaren, Bentley, cars like that. 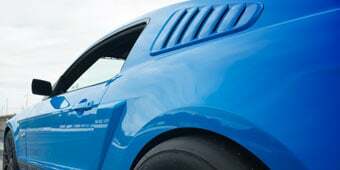 So obviously, they know what they're doing, and they're going to be bringing some of that same knowledge and reputation into the Mustang field, starting with the S550. I have to say, guys, so far from what I've seen, I've been very impressed. Another area I'm very impressed with the AWE Track Edition system is the price. Again, mid-$700 for all of this. 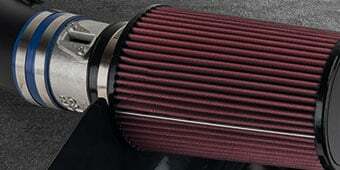 Premium materials, premium build quality, and a very unique tone, again, making this the most affordable muffler deleting cat-back of its kind currently here at AM. If I can be completely honest, at that price point, this thing is a complete bargain. But let's switch gears and talk about the install. As I pointed out at the very top of this video, expect a no-brainer. Right? Full bolt-on installation here, requiring you just some basic hand tools, making for a one out of three wrenches on the difficulty scale. Maybe an hour or two of your time, before you're making some noise. You want to first start by removing that factory cat-back. In order to do so, grab your socket set and loosen up the two sleeve clamps securing your factory cat-back to the forward-most pipes there. Then, from that point, remove the two bolts securing the hangers to the rear subframe, and you can drop the entire system from the car. Just be careful, though, guys. It is all one piece and can be a little tricky to do by yourself. Once the factory stuff is out of the way, you can get to work installing the new AWE system, starting from front to back, of course. That will be the best advice I can give you. So hang that H-pipe using the two sleeve clamps you removed in the first step, and then just basically work your way from front to back, starting with the bullets, the tailpipes, and then finally the tips here. But save your final tighten up to the very end. This way you can make some small adjustments before you really torque everything down, and your installation is complete. Plain and simple here, gang, if you're after one of the most aggressive cat-backs in the category for the least amount of money, the AWE Track Edition might just be your system. Factor in a quality build and no drone, and you've got a premium cat-back for an entry-level price. 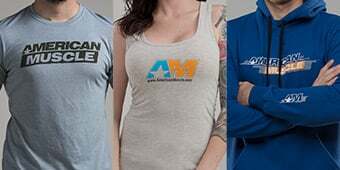 So that is my review of the AWE Track Edition, which you can grab right here at americanmuscle.com. Aggressive Track Sound. Add a loud, aggressive sound to your GT's exhaust note that will wake both your neighbors and the dead, by upgrading to an AWE Track Edition Cat-Back Exhaust. This Cat-Back employs an H-pipe with bullet style resonators that replace the bulky factory resonator and a pair of straight-through muffler delete pipes. 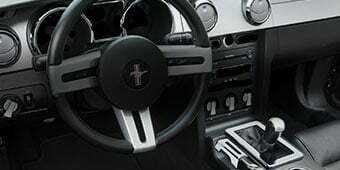 Together these components will give your 2015-2017 GT Mustang an extremely loud, raw, throaty sound that will definitely get you noticed. Performance and Power. Featuring a clean, non-baffled, straight-through design the AWE Track Cat-Back not only improves the sound of your GT Mustang, but it will also improve its performance. By reducing back pressure and giving your GT a free-flowing exhaust, you will see increases in both horsepower and torque. AWE has seen gains of 8 hp and 18 ft-lbs of torque at the crank. T304 Stainless Steel Construction. AWE proudly engineers, designs, and manufactures their Cat-back exhaust systems in-house, in the good old USA. This Cat-back is handcrafted from U.S.-sourced CNC mandrel-bent 0.65” wall T304 stainless steel tubing for superior strength and corrosion resistance. The system includes an H-pipe with two bullet style resonators and features two straight-through muffler delete pipes that end with diamond black 4" double walled, slash cut exhaust tips. Direct Bolt-On Installation. Engineered to be a direct bolt-on replacement upgrade, this AWE Cat-Back replaces everything from the mid-pipe resonator to the exhaust tips. This Exhaust System with H-Pipe includes all necessary clamps and hangers to ensure a simple, straight forward installation with no modifications required. Application. This AWE Stainless Steel Track Edition Cat-Back Exhaust is designed to fit 2015-2017 Fastback GT Mustangs equipped with the 5.0L 4V coyote engine. This 3" Cat-Back Exhaust steps up from 2.5", so that it can be installed with the factory 2.5" exhaust system. Does not fit convertible models. For use with Fastback models only. Does not fit convertibles. i was looking to buy some headers, but im not sure what headers are compatible with this exhaust? Any set of either Long tube or Shorty headers that have a 3" connection pipe will work just fine with the AWE Track Edition Cat-Back Exhaust. Does this system require any kind of tune or other modification? This cat-back exhaust will not require a tune after installation. Hi I have this exhaust system and its great love the sound and I get compliments everywhere. I do have a question though I plan on getting headers to go with this (pypes or the bbk ceramic), but im unsure which midpipe adapter size will work. The 2.5 or 3 inch? The H pipe included in this kit steps up from the factory 2.5" piping size. You will want to use the 2.5" adapter for your application. 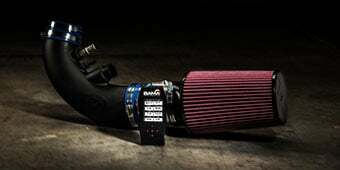 Do you need to install a cold air intake when installing an exhaust system. I see it is recommended when buying this product to also purchase a old air intake but it is necessary? A cold air intake is not required when upgrading to a cat-back exhaust. Do you still carry Borla Headers? At this time we do not carry the Borla long tube headers no. This will not cause any check engine lights to turn on if installed correctly. This cat-back exhaust is legal under California specifications which are some of the most stringent in the country and are often adopted by other states, However, please check with your local and state ordinances for regulations on approved modifications that you can make. We suggest checking with your dealership to see if the AWE Track Edition Cat-Back Exhaust will void the warranty. The majority of states would run an emissions test. We recommend contacting an inspection station to see if the muffler delete would cause a problem during the inspection test. The AWE Track Edition Cat-Back Exhaust w/ Diamond Black Tips will only fit the GT models and not the V6 models as they piping size will be different. Yes, the AWE Track Edition Cat-Back Exhaust w/ Diamond Black Tips comes as a complete kit that includes the full exhaust and mid-pipe. It will also include any hardware required to complete the install. The AWE Track Edition Cat-Back Exhaust will be a 3" exhaust. This does not include headers, so there would be no header primary tube size listed, such as the 1 3/4 or 1 7/8. Since this is cat-back exhaust, this is legal under California specifications however please check with your local and state ordinances for regulations on approved modifications that you can make. 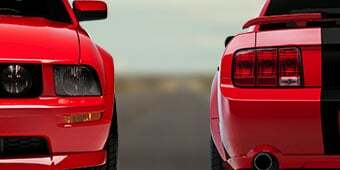 They are very comparable in sound, however, to end product will ultimately depend on other modifications your Mustang as well. Sound can be subjective and difficult to describe accurately using words, so we would highly recommend listening to a few sound clips of the exhausts. Thank you for your question about the AWE Track Edition Cat-Back Exhaust w/ Diamond Black Tips - Fastback (15-17 GT). AWE advertises this as an extremely loud, raw, aggressive, throaty sound. 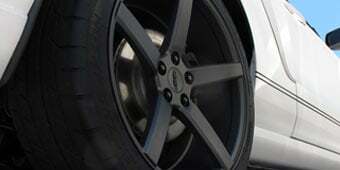 Sound and volume is more noticeable upon acceleration, however will maintain a loudness at higher RPMS. I installed this exhaust in my driveway. This product is very good and has a nice tone. It takes about 800-1000 miles to fully break in, and it got a little louder over that time but it sounds great. It was the only H-pipe application on the site and decided after listening to many exhaust clips from many different brands and Styles that I liked this the most it, should definitely come from the factory and makes every start up awesome. I normally wouldn’t write a review on a product but I had to with this exhaust. I’ll talk about a couple of aspects of this system and my experiences so far. I’ve had this cat-back installed for a few days now. Packaging: This system was perfectly packaged, complete with foam in all the right places and a separate box within the larger box with the tips and all the hardware. There was no shifting of any components whatsoever during shipping. 10/10 Fit and finish: This was another strong point of this system. The welds are clean and the resonators had a mirror finish. This system is literally a direct bolt on of the factory system and was a breeze to install (it took about an hour). 10/10 Sound: Cold starts are glorious and will wake up your neighbors. At idle it rumbles at the perfect volume to let everyone know that you have an aftermarket system installed. From 2000 to 3500 rpm the notes open up and get their loudest tone. 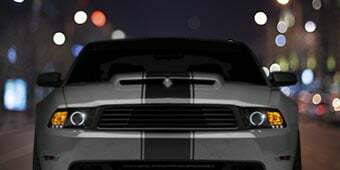 The sounds isn’t raspy, and it has a classic muscle car rumble that H pipes are known for having. If you’re cruising at 2000 rpm expect to hear some drone, but it’s not unbearable by any means. Don’t expect a high pitched sound with this system, it’s low and loud all through the rpm range. Make no mistake, people will hear you coming from way off. 9/10 Overall I think this cat-back is an absolute steal for the money. It lacks no quality or sound whatsoever, and I couldn’t be happier with the results I’ve had. If you’re on the fence about purchasing, do it. You’ll be happy. Love the exhaust has a great sound and looks great. cannot believe how loud it actually is. if your even worried about comparing to the corsa don't. this exhaust is wicked. don't even hesitate. You won’t regret it. The pops it gives off are intoxicating. People will hear you coming for miles. Had the MBRP Street on my 17 for a few months, and I really like its deep, throaty sound. But I wanted more volume out of my exhaust and went with this. Goodness this setup is loud and aggressive while keeping that throaty rumble of an H pipe. I’m taking off a point because it does drone, but that’s to be expected from a muffler delete. If you want to be heard, go with this exhaust. I really like the sound, I was on the line between this and the corsa, I feel like I like the deep muscle car note out of this one more! Install was easy! Took longer to get the car on jack stands than install it. Good deal for the money, fit and finish is great! very happy! I can't believe how many people tell me they like the way it mkes my car sound. A V8 that sounds the way it should. It is insane how good this sounds. Definitely one of the loudest s550’s around my area now. I was also impressed by the packaging. Very secure. This is exhaust is amazing... you get that low rumble at idle but rev it past 3k and it screams, I can't imagine how it'll sound if paired with off-road headers.... it's loud to the point where your neighbors will hate you but in my opinion I wish it was louder.... best bang for your buck period.. Deep throaty sound. I personally like the deep muscle sporty note (if that makes any sense) and not raspy. I got zero drone inside the car but outside it’s crazy loud. Love it. This is awesome. A little less on the loud side compared to corsa, but’s it’s also half the price. Well worth it. My son got these for Christmas - all I can say is wow! Awesome tone and a lot cheaper than the Corsa version! Great system, easy to install, loud without much drone. Saw the reviews saying that this exhaust was too loud for some. Instantly knew it was exactly what I wanted. I’ve had it installed for about a month now. At NO point have I thought this is too loud. This exhaust is absolutely perfect. There is drone at 1900-2000 for that brief 100rpm period. But totally bearable. This exhaust makes my car finally sound, and feel like the race car that it is.